After an absence of many years, the university city has a shunter presence once again at Coldhams Lane TMD as RSS gains another new contract. IN a surprise development, a Class 08 has returned to Cambridge for the first time in many years following the award of a new contract to Railway Support Services (RSS). 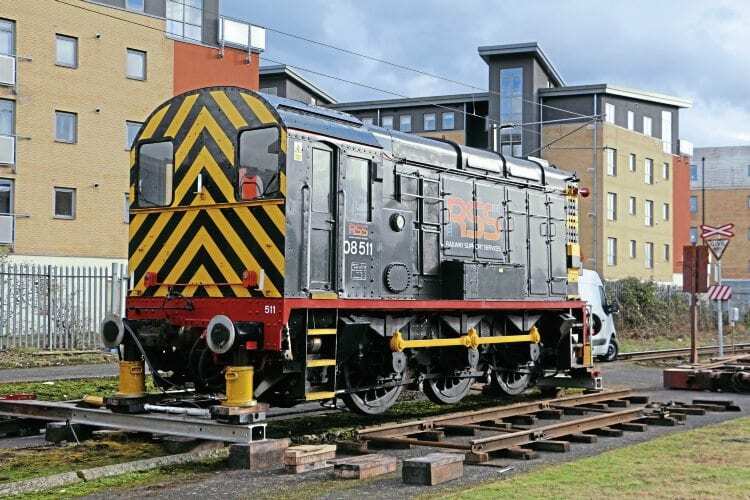 Although based at Arriva Traincare’s Coldhams Lane TMD, the shunter is actually on hire to Greater Anglia and will be used to transfer Class 317 EMUs between the carriage sidings and the unelectrified depot for what is understood to be a round of modifications. In recent years, the depot has principally been used to service CrossCountry ‘Turbostars’. No. 08511 arrived at the depot on February 23 and was unloaded in a complicated operation that first saw it placed onto a specially-laid temporary track panel due to very limited access for the low-loader. The shunter was then lifted and slewed across to a track in the depot using RSS’ rerailing jacks and beams.